Architecture firm Snøhetta plans to transform Detroit's Michigan Central Station into a research hub for car company Ford, with proposals for a "collaborative ecosystem" of professionals to develop self-driving vehicles. 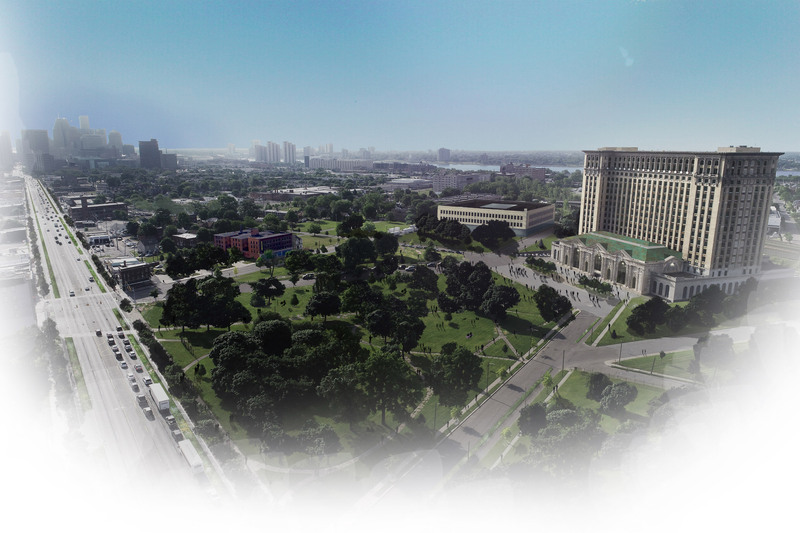 The Corktown Campus project will involve the overhaul of the historic building, which has been in disrepair for 30 years since Amtrak last used the train station, as well as nearby facilities to form a mixed-use development close to downtown Detroit. 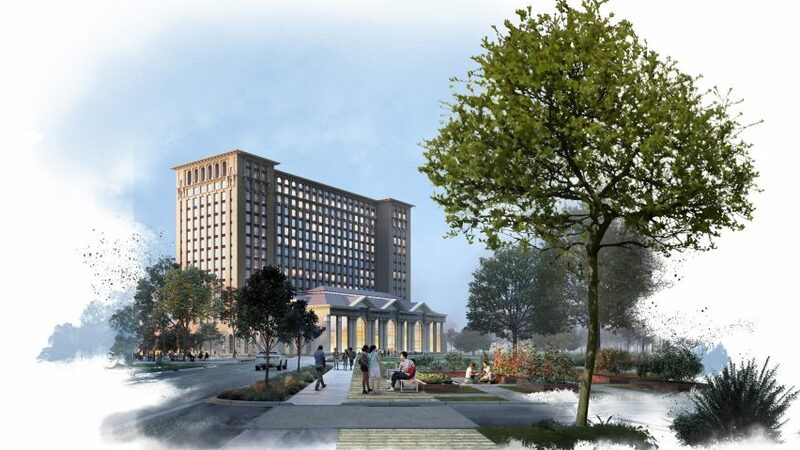 Spanning 500,000 square feet (46,000 square metres), the renovated Michigan Central Station will house offices for Ford and its partner companies, as well as public areas. Plans also include restaurant and retail spaces on the ground floor, with residential provision across the upper floors. "This is where part of our team will live and work as a part of this community, alongside the customers and neighbours whose lives we're trying to make better," said Ford president and CEO Jim Hackett. The entire Corktown Campus is estimated to cover 1.2 million square feet (111,484 square metres), which Snøhetta is set to spearhead as part of Ford's $1 billion capital improvements project. Ford plans to implement the company's first City of Tomorrow study in Corktown, with research focusing on urban solutions, infrastructure, public transit, and smart vehicles. "This will be the kind of campus where the emerging economy thrives – a collaborative ecosystem of companies, educators, investors, and innovators," said Hackett. 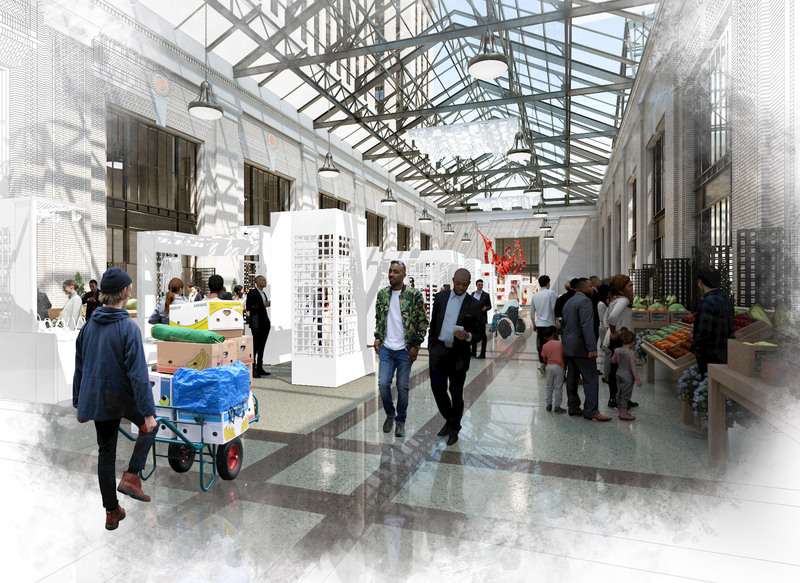 The project will involve preservation efforts for the 18-storey Beaux-Arts-style station building, which is listed on the US National Register of Historic Places. Completed in 1913, the structure was built by firms Warren & Wetmore and Reed & Stem – both of which are credited with designing Grand Central Terminal in New York City. The Detroit station was designed at the same time and has similar features, including its shape and symmetry, as well as details like the exterior pillars, pilasters, arched doorways and windows. Inside are marble walls and vaulted ceilings, resembling a Roman bathhouse. A large hall with Doric columns originally housed a ticket office and shops, while central train concourse included brick walls and a large copper skylight. 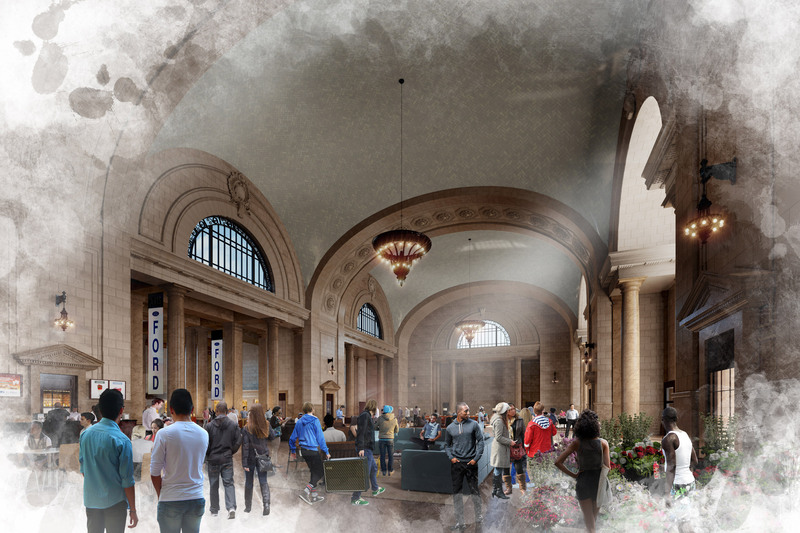 "The preservation and redevelopment of the historic Michigan Central Station will be the centrepiece of Ford's new campus in Detroit's Corktown neighbourhood," said a statement from Snøhetta, which has offices in Oslo and New York.